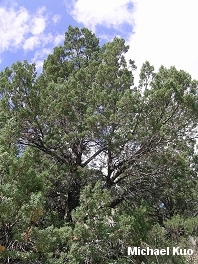 Bushy conifer in dry, Rocky Mountain ecosystems; leaves scale-like; bark gray to reddish brown, in long strips; fruit a bluish berry. Habitat: In dry ecosystems, from deserts to ponderosa zones; in pure stands or mixed with other trees. 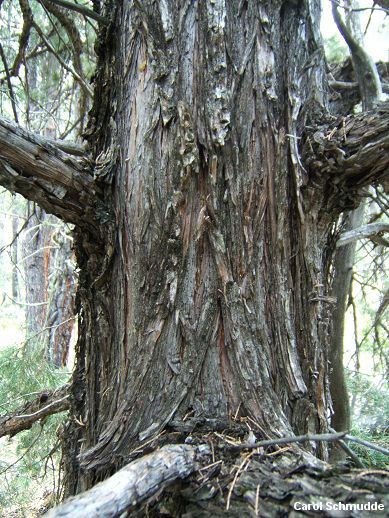 Stature: 40-60 feet high; trunk 15-30 inches in diameter; pyramid-shaped or irregular. 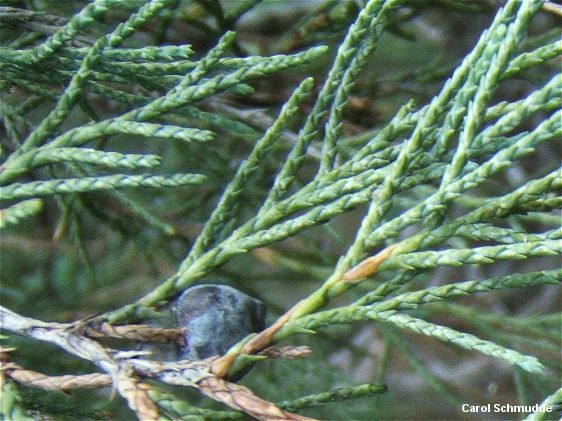 Needles: Scale-like and tightly pressed to branchlets; pale to dark green. Bark: Thin; in peeling strips; gray to reddish brown. Fruit: Berry-like; about 1/2 inch across; greenish at first, becoming bluish with a whitish bloom.